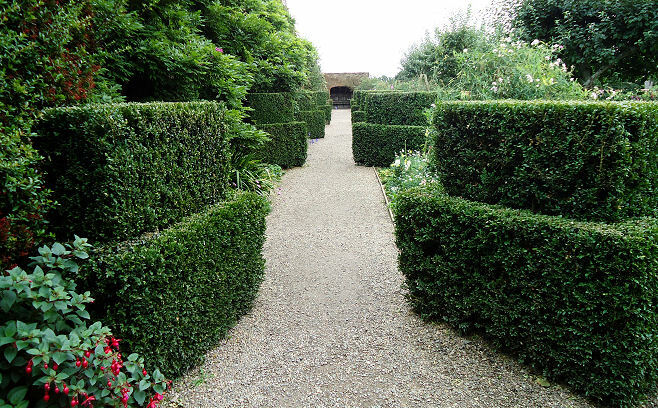 OK perhaps not the best place to start in your quest for the ultimate topiary but nonetheless a delightful setting which represents the sort of history lessons you enjoyed at Primary School before the world got just a little bit too complicated. 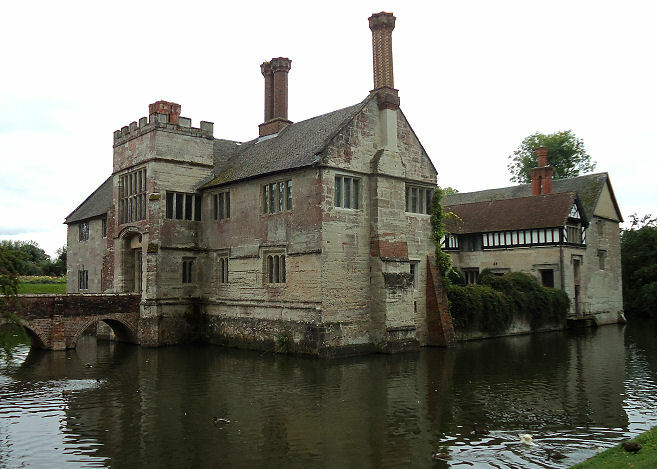 Baddesley is a Fifteenth Century moated Manor House with moat intact and during the Elizabethan period the inevitable Priest’s Holes were included in the interior as this area was a Catholic enclave. 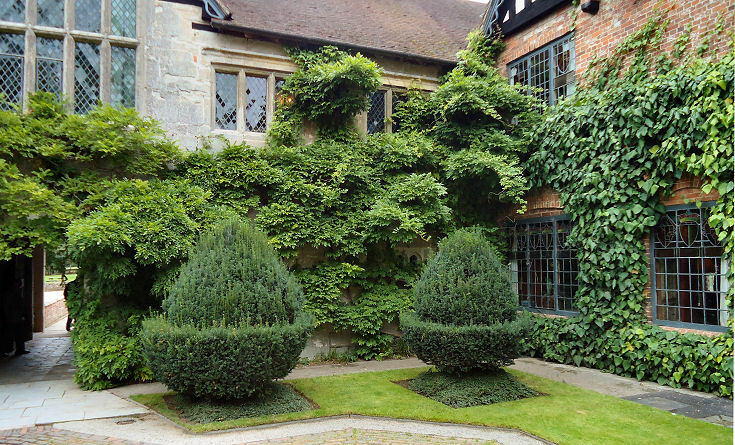 The topiary specimens in the inner courtyard give a sense of timelessness and cultural soliditywhich sets off the understated garden beautifully and is one of those places that you do not want to leave back to the ravages of the Twenty First Century. In the Nineteenth Century the house was inhabited by members of the the Ferrers family including the novelist Lady Chatterton and the artist Rebecca Orpen and many of the rooms are still laid out as is they would have remembered them. 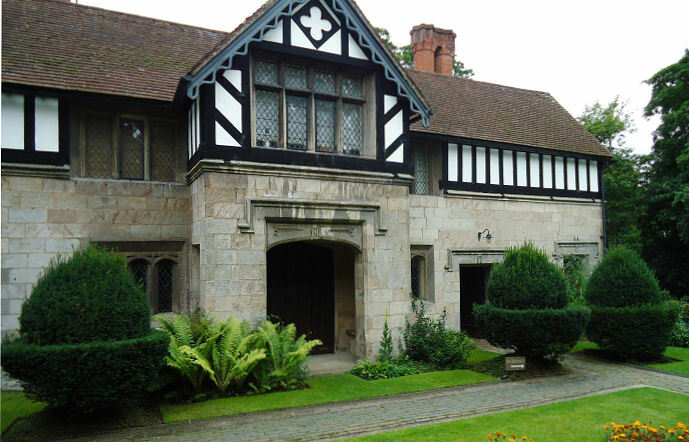 Marmion Edward Ferrers moved to Baddesley in the 1860’s and started the long process of renovating the house and gardens. 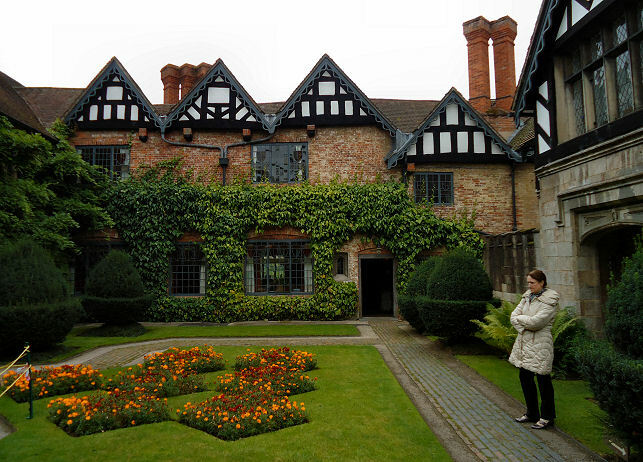 With his wife, Rebecca and his friend Edward Dering and his then wife Lady Georgiana the house became a centre for writing and the arts. If the specimens in the inner courtyard are left to grow too big then I suspect that a little of the overall charm will be lost. 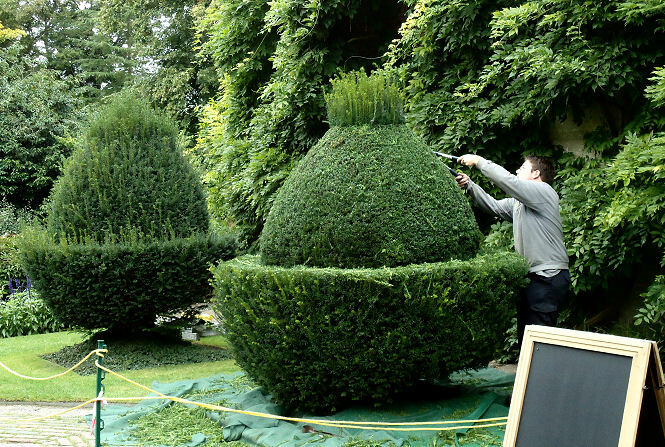 …and as if to make a point during my second visit in September 2013 the National Trust gardener was giving an annual haircut to the specimens. Note good old fashioned shears, as there is no substitute for a pair of eyes followed by a steady pair of hands. Back over the bridge, which incidentally isn’t a drawbridge anymore, as the house has been symbolically isolated not fortified for centuries, there are large grounds in which the local church, orchards and woodland site. 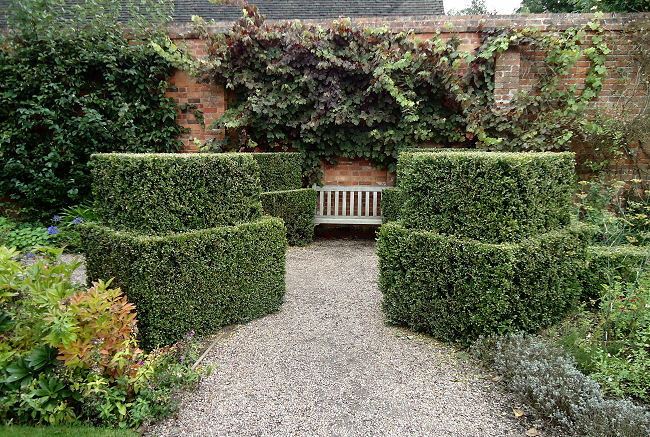 To the right is the walled garden which has a lovely box walk on one side leading to a bench and a dahlia border on the other. The box specimens are large and uniform in shape with diagonals supplanted by smaller blocks on the top.